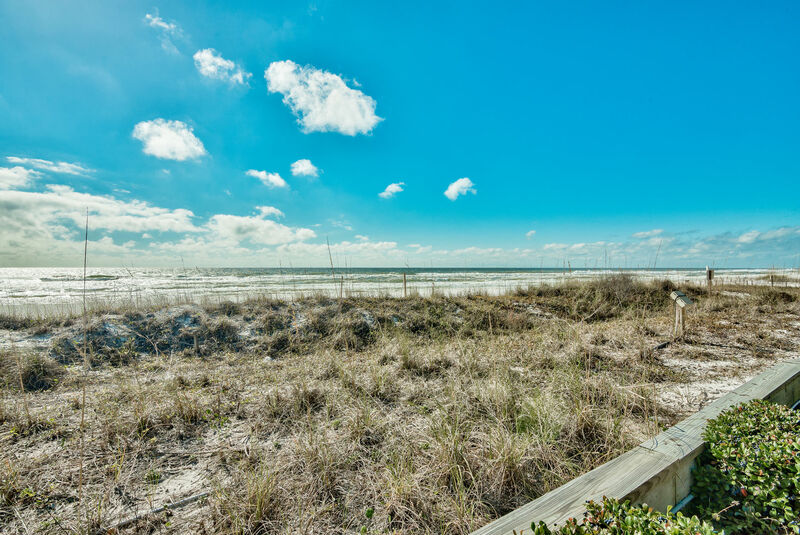 A great direct Gulf front property with a beach that isn't too crowded and your own personal free beach service set up for you (Mar.-Oct.)! 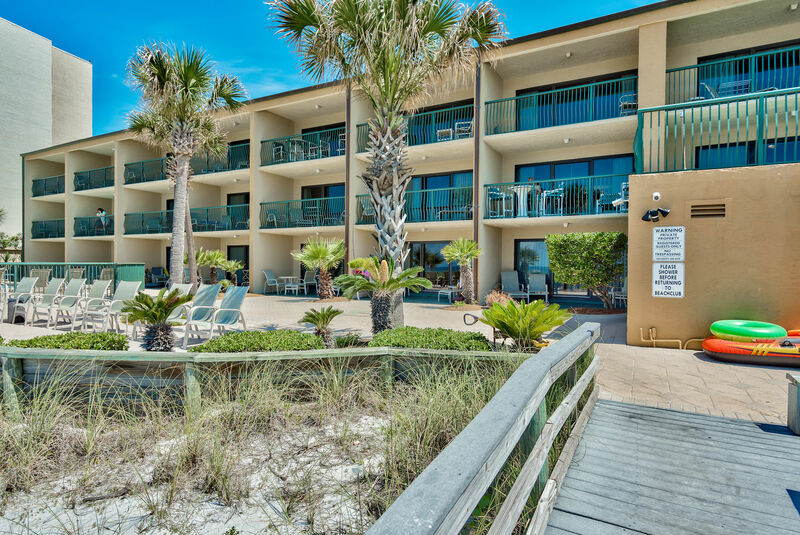 Destin Beach Club is a small beachfront condominium community with all the amenities you can ask for, including an indoor hot tub and daily beachside service. 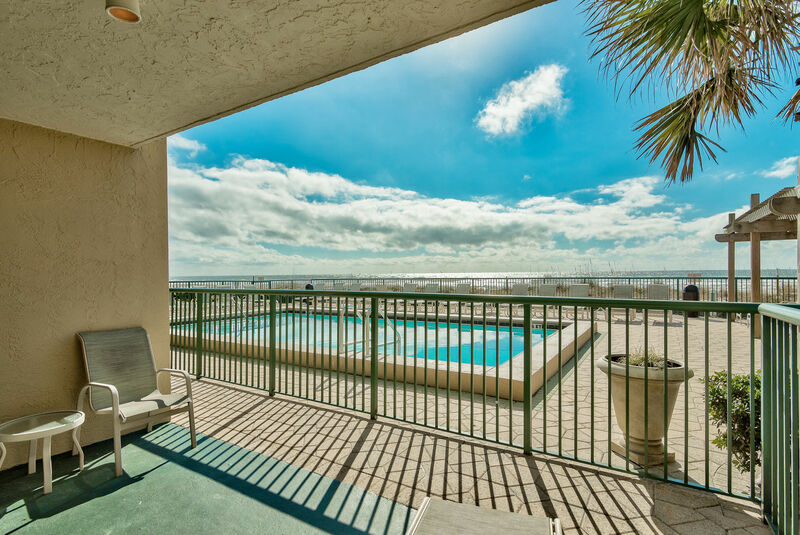 You can enjoy 280 ft. of private Gulf front beach with beach service available. 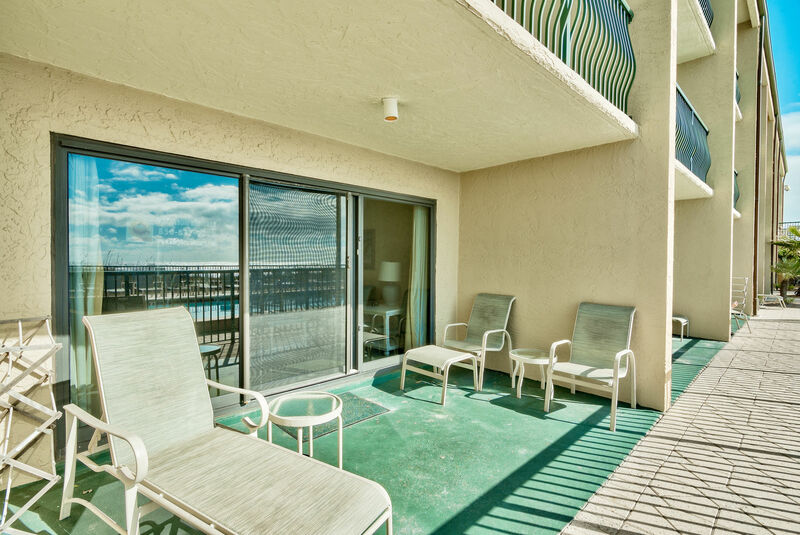 Our condo is a larger end unit with extra windows to let the sun shine through! 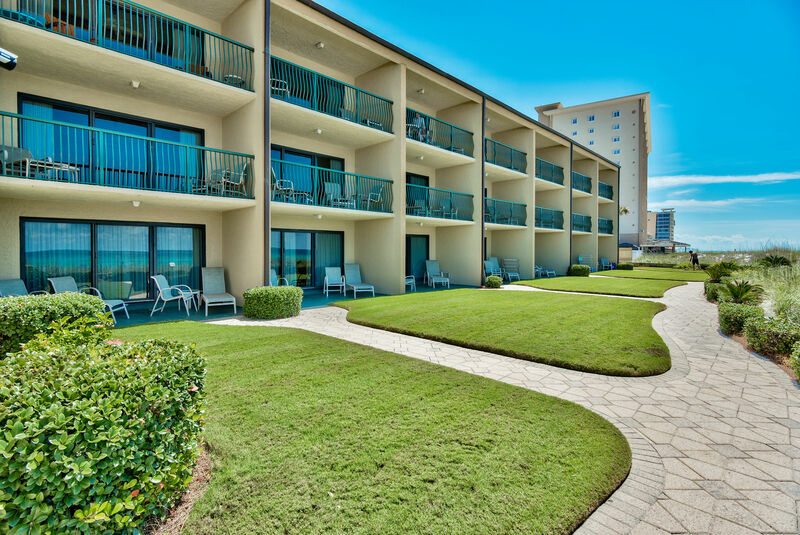 It’s on the first floor, right off the pool – perfect for watching the little ones as they play. 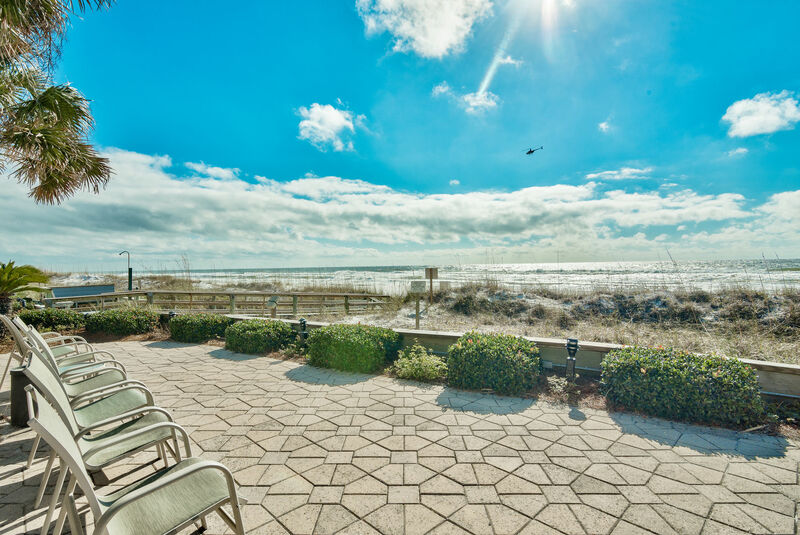 Best of all, the beach is just a few feet away! 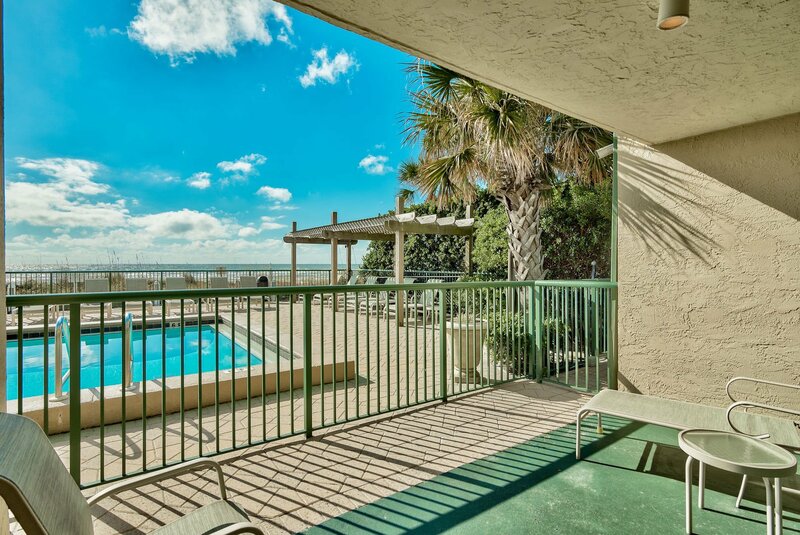 Enjoy beautiful sunsets from the porch or dine at your favorite restaurant – many just a short stroll down the beach from our unit. 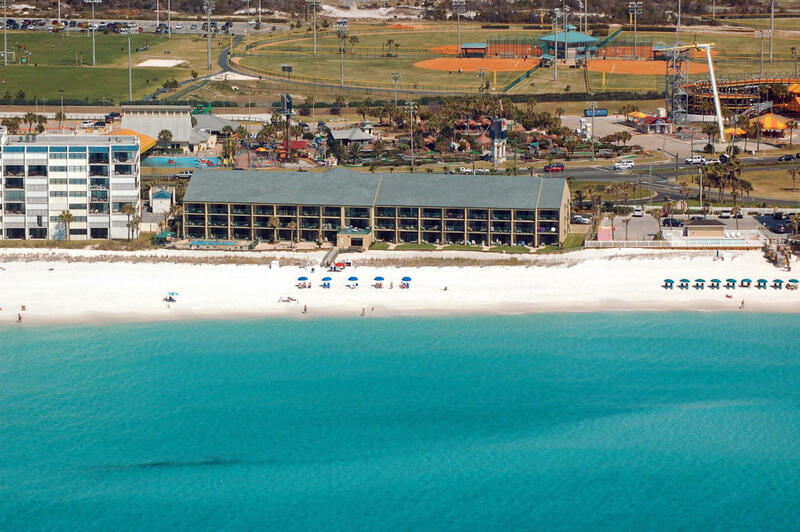 The Destin Beach Club location is perfect for all ages and located right in the heart of Destin. 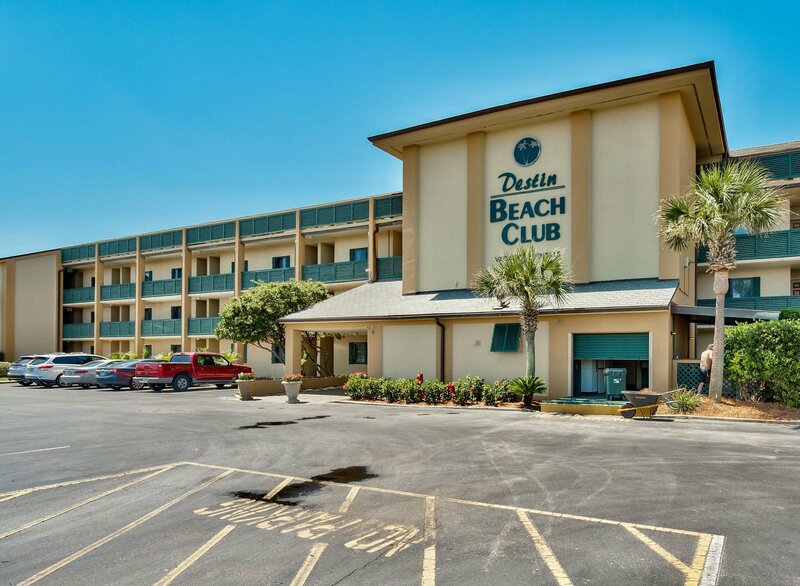 Enjoy the many theme parks in the area – including The Track Recreation Center right across the street, Big Kahuna Water and Adventure Park – and shopping galore (Destin Commons, Silver Sands Outlet Mall, and many others) very close by! 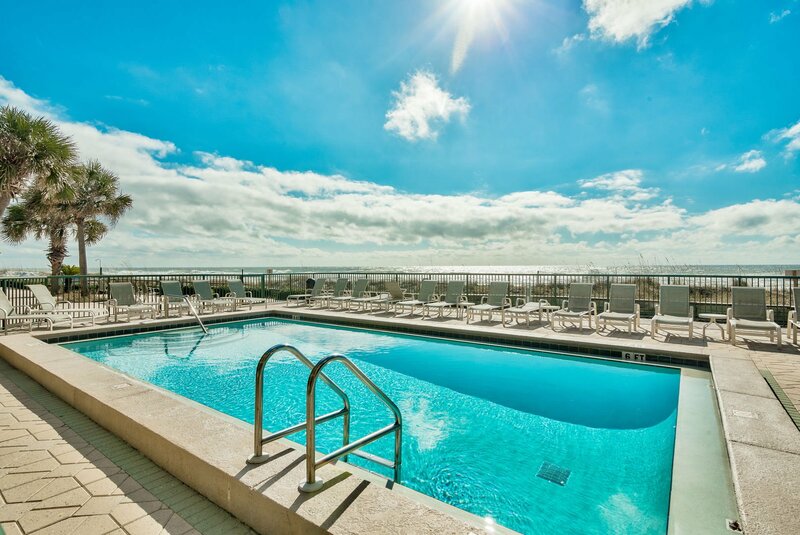 A complimentary fitness membership is also included. No smoking and sorry no pets, please. Singles under 25 must be accompanied by a parent or legal guardian on premises. 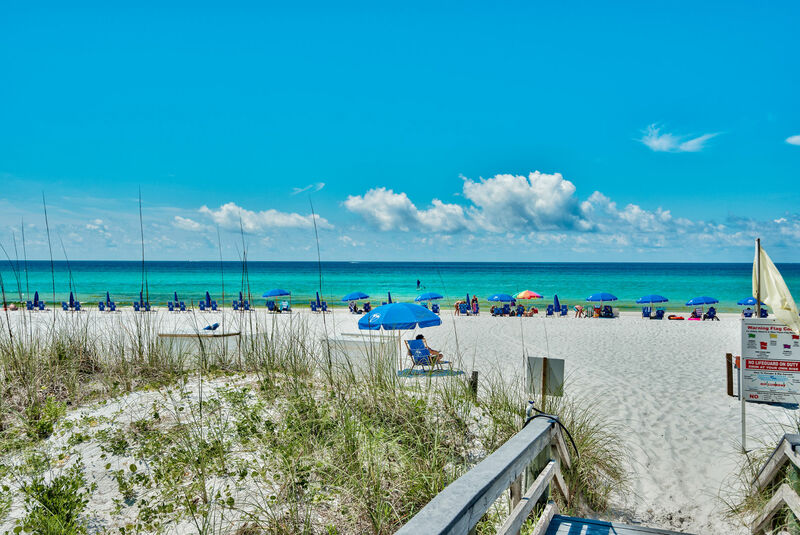 Some peak seasons require a Sat. To Sat. stay.